DETROIT –– Due to public concern about the location where billionaire Dan Gilbert and Wayne County Executive Warren Evans want to put a new county criminal justice complex, Evans has tried to calm the public by holding two town meetings, where citizens can express their views. The problem is the whole thing may be voted on before the second town meeting. The criminal justice center will include a jail, a juvenile detention center for kids, and a courthouse. (See full description at left.) The proposed location for the building would be on the east side of Detroit at East Ferry near the I-75 expressway. Some feel it should not be close to a residential neighborhood. Area residents there have expressed fears that this will destroy the quality of the neighborhood and endanger the safety of their children. There have been concerns about those in the building itself. 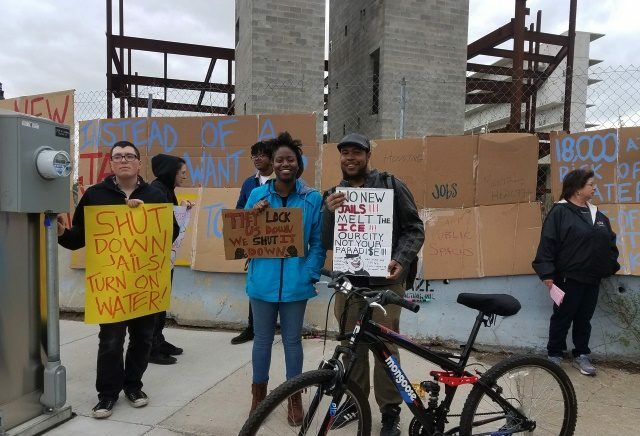 As noted in past articles, former Detroit planner Hilanius Phillips warned that the air pollution in the area from an incinerator, a lead waste plant and the expressway itself would create the same health problems as the water pollution has in Flint. He contends the prisoners living there, the police, guards law clerks and secretaries working there, families and clergy visiting prisoners and witnesses subpoenaed to testify at trials, could face sickness, breathing problems and lead poisoning. Although a town meeting was officially scheduled on April 10 to give the people a chance to voice their views on this issue, the commissioners may be making it a dead issue. On April 3 the commission’s Committee of the Whole voted to approve the location of the center exactly where Evans and Gilbert want it. This may then be sent to the full board meeting on Thursday April 5, for final approval. Commissioners Diane Webb and Jewel Ware were the only ones who did not vote for it. Webb voted against it. Ware abstained, because she wished to learn more. The commission did have a public session, where the public could be heard. But that was held after the meeting was adjourned, the resolution had passed and any damage that existed was done. Even then the citizens were given only two minutes to discuss such a complex issue. When the formal meeting had been held commission members revealed several misconceptions. Some members said the county should check the ground where the center would be built for environmental problems and clean it up. The trouble is that if Phillips is correct, the pollution would not come from the soil, but would be brought in from the outside area by polluted air from the incinerator, the lead waste plant and the expressway. The county would have no official power to shut down the incinerator and the lead waste plant and the county certainly could not close a state highway. The full commission meeting, where the final decision on the center’s location might be made, will be held five days before Evan’s public is scheduled to take place. It will be held Thursday April 5 at 10 a.m. in the commission’s hearing room on the Mezzanine level of Detroit’s Guardian Building, 500 Griswold. Come one. Come all. Or give your commissioner a call. Tell county commissioners not to rush where angels fear to tread. People’s lives demand more deliberation. Slight error. The second hazardous plant is a liquid, not lead, hazardous plant that processed toxic liquids. After treatment the liquids are alehedly detoxified and discarded into the same sewerage system used by residents. The liquid plant just like its neighboring solid waste incinerator are the nation’s largest. Prior to Detroit’s issue of a permit to operate, the liquid waste facility was fined 3 million dollars for releasing untreated hazardous liquids into Detroit sewers. 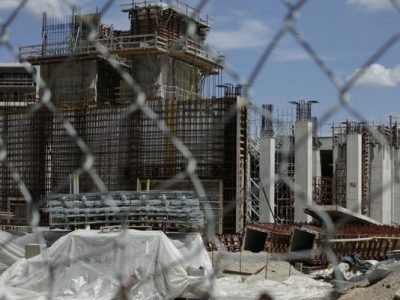 Hilanius Phillips question the appropriateness of the final permit ever being approved, after its three year trial period revealed the fined violation.